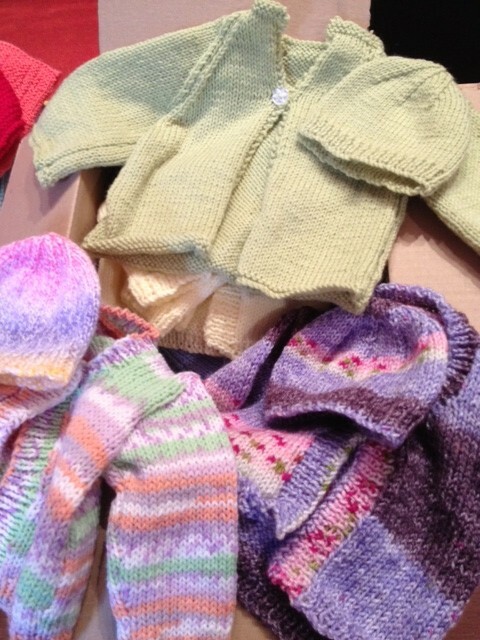 One of the best things about being at Knit for Peace is seeing all the parcels of knitting that come in everyday. 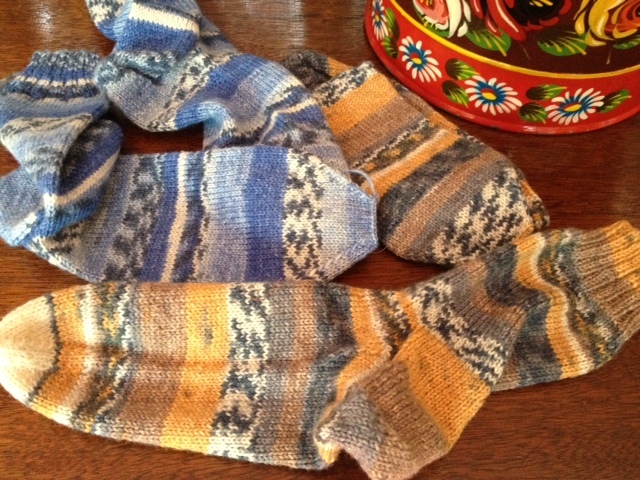 So far this week we have had some fantastic socks made from space-dyed sock yarn that will keep someone’s feet really warm. 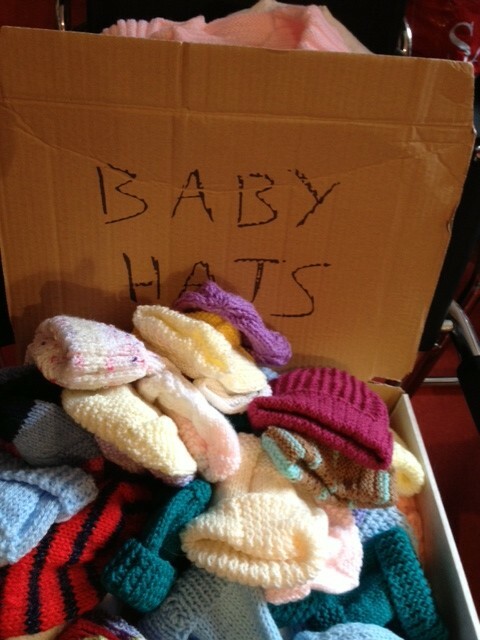 We had a box of not 1 but 12 baby jackets with matching hats from an anonymous donor. How lovely are these? Organising the influx of knitting has become quite a job. Luckily we now have the help of Jamie who is very neat and tidy and likes to label everything. That way we will keep track of all the beautiful things that come in, are admired briefly, and then go out again.